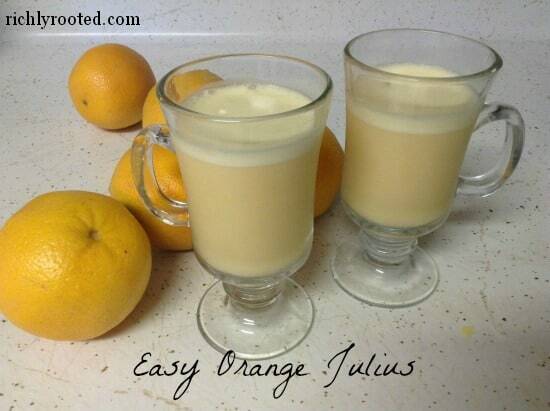 The sweet Orange Julius drink you grew up with is easy to make at home–and much better for you! Here’s how to make fresh-squeezed Orange Julius from scratch. Orange Julius makes a surprisingly delicious breakfast beverage. Surprising: because you wouldn’t think that milk and oj would play well together in the same glass. Delicious: because actually, they do! What you get when you mix the following ingredients together is a cold, frothy, sweet beverage that you’ll want to have more often! The sweet Orange Julius drink you grew up with is easy to make at home--and much better for you! Here's how to make fresh-squeezed Orange Julius from scratch. Cut the oranges in half and juice them. 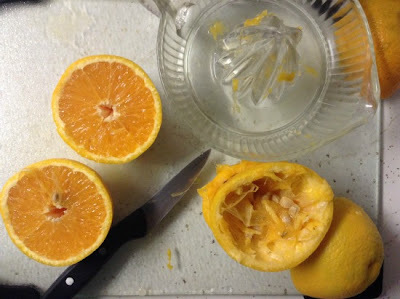 Pour the juice through a strainer to catch the seeds and pulp. Press the pulp with the back of a spoon until all the juice is extracted. Put the orange juice, milk, honey, and vanilla into a blender. Blend on low speed until well mixed. Add ice cubes in batches, blending after each addition until the ice is well broken up. Serve immediately. Sounds delicious! I used to love going to the mall for a slice of Sbarro’s pizza and an Orange Julius. 🙂 I’ll definitely have to try this out! Thanks! I used to work in a mall foodcourt which had both of those restaurants, but I seriously never thought of enjoying those two together! Would’ve been a good idea. Wow, this looks so good! Now I wish I had fresh oranges haha! Ok, so next grocery trip your blog is going with me for sure! Actually, I rarely use almond milk, although I love the taste of it. I think that using it in this recipe would be an excellent idea–the flavour would work well with the honey-sweetness, I bet. We do this with the whole peeled orange and raw eggs too. I love it in kefir! I remember hearing orange juliuses actually had raw eggs in them originally. Cool! We use grocery store eggs for now, but once we work in pastured eggs I hope to try some raw stuff, like putting them in eggnog. 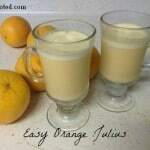 Oh my goodness – I LOVE Orange Julius but never thought to make this at home…bookmarked! 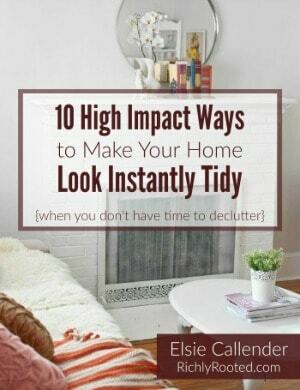 Good idea! I will have to try that for sure!